Well, I guess it is about time to sit down and write a bit about Disney. I’ve been busy since we have been back but it is not going to slow down any in the next few weeks, so I’d just better get used to it:-) I’ll share a few pics here and you can find the rest on the website. 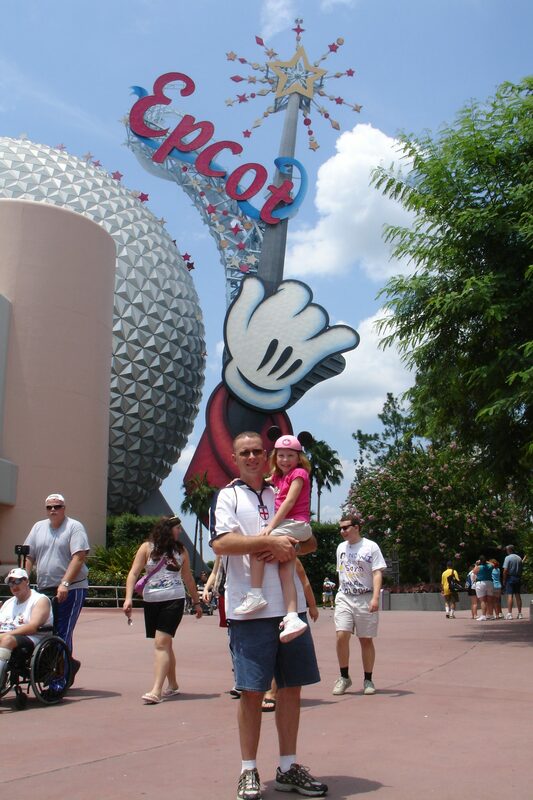 Monday – We left for Orlando in the morning and expected it to take us 6-7 hours, stopping for lunch, etc. It ended up taking us a while longer because we hit this horrendous rainstorm that had traffic at practically a standstill. Finally made it past that to the hotel (Shades of Green). Because of the storm, we missed our dinner reservations, so we got all checked in and then headed to Downtown Disney. Put our names on the waiting list at Rainforest Cafe and then walked around and shopped while waiting. After dinner, we got ice cream and headed back to the hotel for showers and sleep. 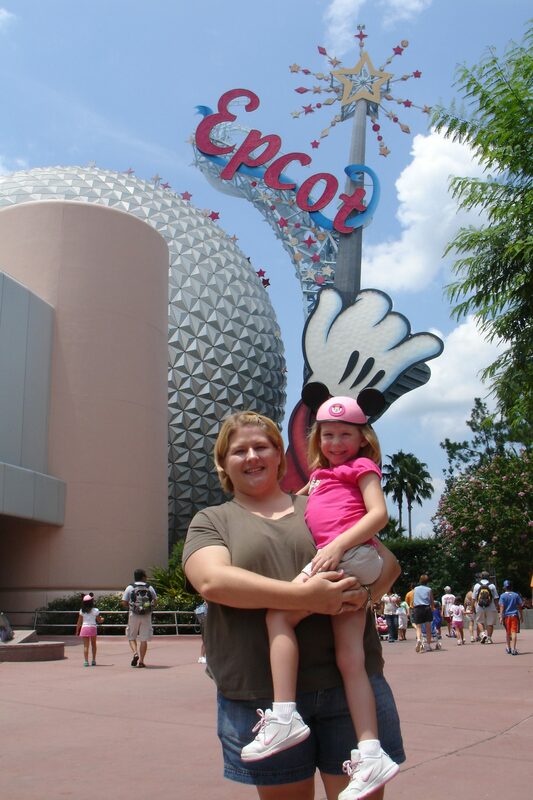 Tuesday – We got up early, got dressed and headed over to Epcot. 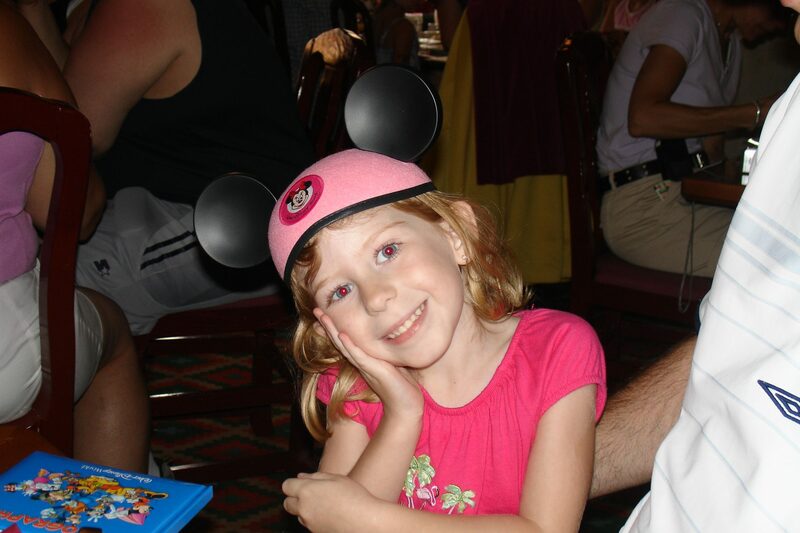 We had booked Jacey a Princess character breakfast and once we got there, she was in heaven. Spent the rest of the morning, riding rides, seeing characters and taking in the sites at Epcot before heading back to the hotel for naps. After nap, Bryan and Jacey swam for a bit and then we headed back to Epcot for the fireworks and extra hours (for resort guests). We rode a few more rides and saw a show that had an extremely long line earlier in the day. Headed back to the hotel, grabbed a quick bite to eat and then went to bed. Wednesday – We headed over to Animal Kingdom for another character breakfast, this time with the traditional Disney characters. 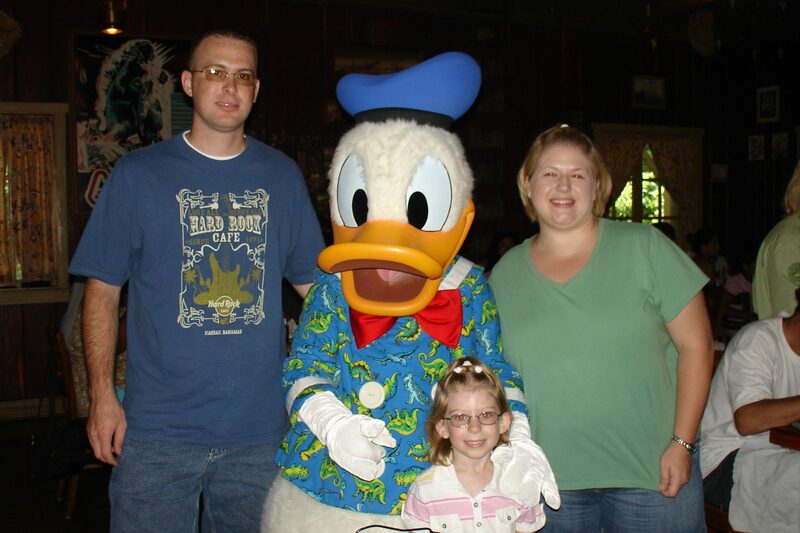 Jacey really enjoyed herself and wasn’t scared of the characters at all like she was last year at Disneyland Paris. Stayed at Animal Kingdom till the afternoon and then headed back to the hotel for naps. Afterward, we decided to go swimming instead of heading to a nighttime show at the park. Jacey would have been thrilled to just swim the whole time (would have been a LOT cheaper too:-). Thursday – We decided to head home. We technically had 2 more days on our reservation, etc but everyone was overtired and it was oppressively hot and crowded so we decided to save the rest of the days on our tickets and head back in a few months. We got home Thursday evening and have been just relaxing since. Bryan still has one more week of leave so it will be nice to have him around for the week. Jacey has soccer camp all week, the truck goes back to the shop in the morning to hopefully get the paint FINALLY fixed, we have lunch with friends we knew in England tomorrow (they are here visiting family), we have to take Jacey school shopping and I have another friend from England that moves here on Friday. Then, Monday (31st) is our 7th anniversary…WOW! Anywho, I will stop rambling now. Here are a few pics from our trip and a video of Jacey swimming. Little stinker surprised us both by being able to swim on her own. This is the child that a year ago would scream bloody murder when you put her in a pool. Sounds like a great time!! I would have loved to have been there — I love Disney! !